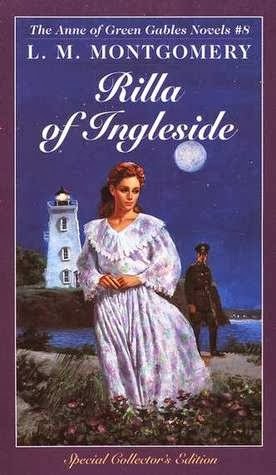 Admittedly, Rilla of Ingleside seems like an odd title (at least to me!) to be giving away. Why? Because it's considered book 8 of the Anne series and I have a hard time giving away only one book from a series (which is not the first title). That said, Rilla of Ingleside is a stand alone title in a few respects. #1 - It tells the story of Anne's daughter, Rilla. Although Anne and family make their appearance, the primary character of interest is Rilla and the story is told entirely from her her point of view. #2 - It is of historical note in that it the story helps to explain what life was like for Canadian women on the home front during World War I. This book been assigned as part of college reading requirements for its historic relevance. If you haven't read it, or if you don't own a copy and would like to, I highly encourage you to make things right. ;) I'll make it easy for you to do so by offering a copy to one of you. - This contest is open to U.S. and Canadian residents and will be open through Wednesday, January 22nd. THIS CONTEST IS NOW CLOSED. THE WINNER, as selected by Random.org., IS #3 - Tina. Congratulations! Awww! I LOVE Rilla! I own a copy of it, but it made me so happy to see an LMM title pop up in my reader feed that I had to stop over and say hi, anyway. I am still filling out my L.M. Montgomery collection and I don't have this one! And you know I need it. :-D Duchess has read most of the rest. I've never read this one but I'd like to. I never read this one. Thanks. Love your blog. I don't have that one in my collection yet. Thanks. I've become interested in reading more about World War I from the woman's point of view. I know so much more about World War II. I read Rilla years ago as a library book. This book sounds really good. I would love to read it. Thanks for having the giveaway.